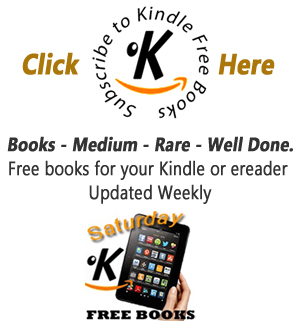 The Great Railway Revolution: The Epic Story of the American Rail road by Christian Wolmar £0.99. In the 1830s, The United States underwent a second revolution. The opening of the Baltimore & Ohio line, the first American railroad, set in motion a process which, by the end of the century, would enmesh the vast country in a latticework of rail road lines, small-town stations and magisterial termini, built and controlled the biggest corporations in America. By the middle of the twentieth century, however, as the auto-mobile and the aeroplane came to dominate American journey-making, the historic importance of the railroads began to be erased from America's hearts and minds. In The Great Railway Revolution, Christian Wolmar tells us the extraordinary one-hundred-and-eighty-year story of the rise, fall and ultimate shattering of the greatest of all American endeavours, of technological triumph and human tragedy, of visionary pioneers and venal and rapacious railway barons. He also argues that while America has largely disowned this heritage, now is the time to celebrate, reclaim and reinstate it. The growth of the US rail roads was much more than just a revolution in mode, speed and convenience. They united the far-flung components of a vast and disparate country and supercharged the economic development that fuelled its rise to world-power status. America was created by its rail roads and the massive expansion of trade, industry and freedom of communication that they engendered came to be an integral part of the American dream itself. 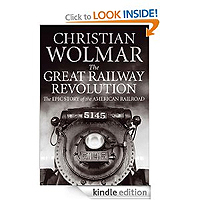 Christian Wolmar is an expert on the railways but is also, first and foremost, a very good writer, who is able to bend what might be dry and technical material into an entertaining narrative, in which the technicalities are subservient to the story, and history is enlivened with many vignettes and anecdotes. This is the case with his previous railway history books, but in his latest he has excelled himself. The book is a compelling read, offering as it does a whole series of insights into two hundred years or so of United States' history, both economic and social. The close links between America and Britain were no closer than in the development of the railways in both countries, and he shows what these links meant but also contrasts the differences in how two major transport systems developed. He shows how in many respects the railways made the two countries into what they were, at least until the time of the railway heyday on both sides of the Atlantic. He also entertainingly shows how differences between the two systems (especially in the treatment of passengers) were emblematic of the two diverging cultures. In contrast to Europe, the US railroads developed in an almost totally haphazard way, reflecting in part the reluctance of government to intervene but showing how judicious intervention might have benefited everyone. To some extent this happened in the civil war, and Wolmar shows what a crucial role the railways played in it. His chapter on the scandals and achievements of the first transcontinental railway is also particularly entertaining.